Viscosity – Viscosity is a measurement of a fluid’s thickness, or resistance to flow. The higher a lubricant’s viscosity, the thicker it will be and the more energy it will take to move an object through the oil. 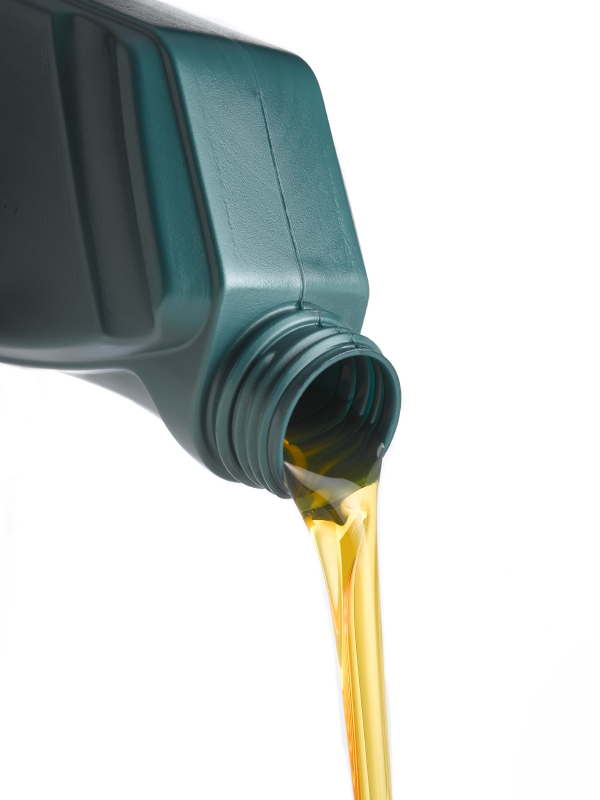 One common scale used to describe viscosity in lubricating oils is the numerical grading given by The Society of Automotive Engineers, or SAE. Viscosity Index – The viscosity index, or VI, of a lubricant describes how the oil’s viscosity changes as its temperature changes. As temperatures increase, viscosities decrease, and vice versa. For example, a piece of machinery that operates over a wide range of temperatures will require a lubricant with a high VI, meaning that the oil will retain its lubricating characteristics whether it is starting up cold or running at full speed and peak temperature. Oxidation and Corrosion – When lubricants are exposed to oxygen and certain metals or compounds at temperatures above 160 degrees Fahrenheit, they can be prone to oxidation. Oxidation of lubricants can lead to several undesirable consequences, such as increased oil viscosity, formation of corrosive acids, and sludge buildup. Preferred lubricants are those that have a high resistance to oxidation and inhibit corrosion by protecting components from water, oxygen, and chemical attacks. Flash, Fire, and Autoignition Points – When lubricating oil is heated to a high enough temperature; it will begin to boil off as a vapor. Eventually, a temperature will be reached where the vaporized oil can be ignited by an external source. This temperature is called the flash point. When the source of ignition is removed, the vapor will cease to burn. The fire point will be slightly higher than the flash point, and is where the vapor will continue to burn for at least five seconds after the ignition source has been removed. The autoignition temperature is the point at which the oil vapor will spontaneously ignite without the aid of an external igniter. Semi-solid lubricants, typically referred to as greases, share many of the same properties of their liquid counterparts, but are designed to stay in one place or stick to the parts they are meant to lubricate. Greases can be classified using hardness. The hardness of grease is based on the standard classification of lubricating grease that is established by the National Lubricating Grease Institute, or NLGI. The hardness is based on the overall composition of all parts that make up the grease, which includes fluid base, thickener, additives, and fillers. Fluid Base – Most greases use mineral oils as the fluid base. The specific oil is chosen for its properties, such as high viscosity oil for high-temperature, slow speed equipment. Thickener – The most common thickeners used for greases are soaps. The soap can lend important properties to the grease, such as water resistance, chemical stability, and an improved viscosity index. Some common thickeners used include lithium, clay, and silica soaps. Additives – Additives are chemical compounds added to grease and oils to change or add certain desirable properties. Fillers – Fillers are an important part of grease as they help to make the grease more solid and stable. Fillers form a solid film on moving surfaces, helping the grease function under a heavier load and preventing it from squeezing out under pressure. Common fillers include graphite, mica, and molybdenum. 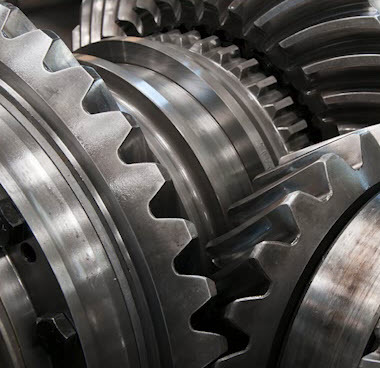 The major cause of lubrication-related failures in process equipment is due to the incorrect amount of lubrication being applied to the component. Over-Lubrication – Contrary to popular belief, the old adage, “the more oil the better,” is not true in terms of proper lubrication. Manufacturers of specific components state the amount and type of lubricant for a given application. These requirements should be strictly adhered to. Effects – When a bearing is discovered to be operating at an abnormally high temperature, the first instinct is to add more lubricant. This action should never be taken. Bearings or machinery that is operating at an abnormal temperature should be shut down so the cause can be investigated. If the bearing was over-lubricated, the temperature rise was due to churning of the lubricant. 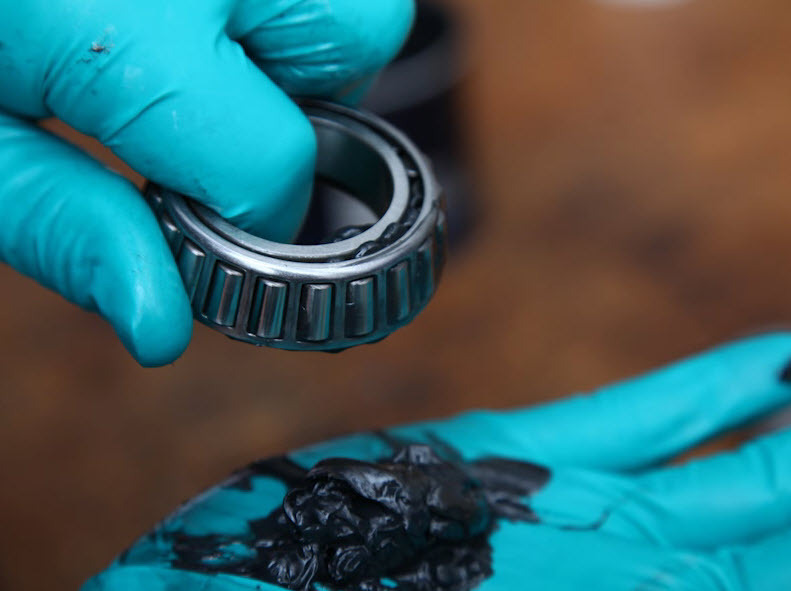 Under these conditions, the lubricant will break down and the bearing will eventually fail. Under-Lubrication – When lubrication is inadequate, surface damage will result. This damage will rapidly progress to failures, which are often difficult to differentiate from primary fatigue failure. 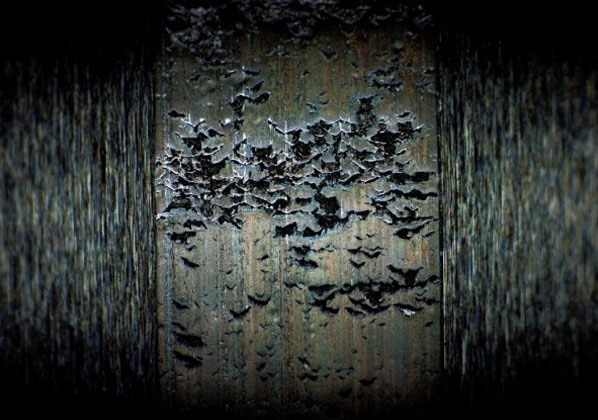 Spalling will occur and often destroy evidence of the effects of under-lubrication. Under-lubrication is the number one cause of lubrication-related failures in equipment today. The correct lubrication of plant equipment is an important factor in sustaining production with reduced equipment outages and lower maintenance costs. When a well-planned and coordinated lubrication program has been established, the production plant will operate at its highest efficiency. The consultants at Technology Transfer Services are your experts in maintenance operations and will be happy to discuss concerns specific to your facility and equipment. To learn more about lubrication in an easy to use and efficient way, check out our eLearning course series, Lubrication Concepts, available through the new odesie® site at www.myodesie.com.